There’s no arguing: the iPhone 3GS is the best iPhone ever. And it ought to be. Each successive iPhone has been better than the last. The iPhone 3GS is a great phone. If you’re not an iPhone user, it’s the most compelling reason yet to switch. But not all of the phone’s promise is fulfilled. That’s not entirely Apple’s fault, but that promise needs to materialize before the phone can be judged close to perfect. At first glance, you can't easily tell the iPhone 3GS apart from the iPhone 3G. They use the same enclosure and, other than a slight weight gain for the 3GS, look like the same phone. But it’s not looks that count. It is, as the saying goes, what’s on the inside. The iPhone 3GS sports substantially upgraded hardware. The phone has a faster processor and more RAM to speed the launch and running of apps. The increased speed is noticeable. Apps open quicker and there are fewer instances of waiting for things like the onscreen keyboard to load. The 3GS also sports double the storage capacity of the 3G—16 GB and 32 GB in this case—which makes the phone more useful. We’ve kept an 80 GB iPod video for years because our iTunes library is over 40 GB and we wanted one device that could store all that content. Now that our phone can hold the music and other content that we’ll listen to regularly, our iPod video looks less useful. The phone also has integrated support for the Nike + iPod personal training system. Though this requires additional purchases, having onboard support is a bonus. Lastly, the phone adds a digital compass, which is particularly useful for driving directions that begin with "start out going northwest on ..." Now a phone will suffice when you used to need a Boy Scout. Altogether, the iPhone 3GS’ hardware improvements are a solid upgrade and make the phone easier, faster, and more fun. The iPhone 3GS also improves its built-in camera. Not only does the 3GS outdo its predecessor by offering a 3-megapixel camera instead of 2 megapixels, but it can also record video at 30 frames per second. Videos are recorded at 640 x 480 pixels and, given their likely intended destination (YouTube, not your TV), they’re great. A thirty-second clip weighs in at about 14 MB. An iPhone 3GS could hold about 3 hours of video in 5 GB of space. While the resolution isn’t enough for our HD age, it’s solid for the web. We suspect it won’t be long before we start seeing short films for the web shot on an iPhone. The still camera also adds auto-focus with a tap on the area you want to focus on. We’d rather have gotten a zoom, but auto-focus makes the camera more capable. It would have been nicer had Apple delivered these features in the last model—many other phones and smartphones already had them—but it’s good to have and the pictures and video are great. Apple claims improved battery life for the 3GS. Anecdotally, this seems to be true. Our iPhone 3G needed a recharge every day or day and a half. Our 3GS usually needs a recharge every two days. While that’s not a major improvement, it’s better than nothing. In its message that the iPhone 3GS is the fastest iPhone yet, Apple is touting the phone’s support for a faster 3G data standard. This 7.2 Mbps connection is twice as fast that supported by the iPhone 3G. This claim is a bit misleading, though, as AT&T (the official iPhone carrier in the U.S.) has yet to widely deploy a network that supports this speed. U.S. users won’t enjoy this for a while. Otherwise, the phone feels snappy as ever whether connected to Wi-Fi or the 3G cellular network. AT&T not offering features is a theme with the iPhone 3GS. The phone supports both MMS (multimedia text messaging)—which is a star of Apple’s TV ads for the device—and tethering to use the iPhone as a laptop modem, but AT&T offers neither as of this writing. It’s expected that both services will be available (tethering will require an extra fee) in late summer 2009, but not having them at launch is a disappointment. That's especially true of MMS since most phones have had that for years. While we’ve never experienced anything other than trivial frustrations with AT&T service and quality, many users seem to be longing for another carrier—maybe Verizon. It’s not hard to envision a switch in 2010 when AT&T’s exclusive contract expires. There are two other notes of interest about the hardware on the iPhone 3GS. The first two iPhones collected dirt and oil from fingers and faces on their screens. To address that problem, Apple added an "oleophobic" coating touted as resisting fingerprints. It doesn’t seem to have fixed the problem, though. I still find oily smudges on my screen with regularity. They’re just a different shape and slightly harder to see now. Also included with the phone are new headphones, which add an inline remote control to the previously offered mic. The remote not only allows for control of music and calls but also factors into using Voice Control, which lets users talk to the phone and iPod apps. The downside is that if you want to use third-party headphones, you’ll lose the mic, remote, and Voice Control features. Apple introduced similar headphones on the third-generation iPod Shuffle and promised an adapter for third-party products, but has yet to deliver one. Locking out third parties is a definite knock against the 3GS. iPhone OS 3.0 was launched along with the 3GS and while it supports previous models, it truly shines on the 3GS. Voice Control is a terrific boon to users who are on the road a lot and want to make calls without taking their hands off the wheel. When it comes to controlling music, though, the app has a way to go to be usable. Perhaps the major addition in OS 3.0 is—finally—copy and paste. Apple has made copying and pasting text, images, and video a snap. Just highlight the item and go. Copy and paste is supported across apps, so it works basically how you’d want it to. It took about two years too long to arrive, but it's a big help now that it’s here. Another nice software touch is the onbaord video-editing app that accompanies the camera. The app, which is only accessible once the video has been recorded to the phone, allows users to snip out sections via drag and drop. While it’s not a full-featured video editor—it doesn’t offer audio, fades, etc.—it’s more than capable for a mobile device. Integrated upload to YouTube is especially useful and seems to be driving a spike in mobile video use. OS 3.0 also integrates Apple’s Spotlight search in most applications and adds numerous accessibility features for users with disabilities. It makes finding and interacting with data on the phone easier than ever. Though it requires an additional subscription, Apple’s MobileME Internet service is looking increasingly interesting for iPhone users (maybe for the first time). MobileME can now sound a tone to help you find a misplaced iPhone, use GPS to locate a stolen iPhone, and even remotely delete data so thieves can’t access it. While the extra US$69/year isn't for everyone, these features will certainly be useful to some iPhone users. 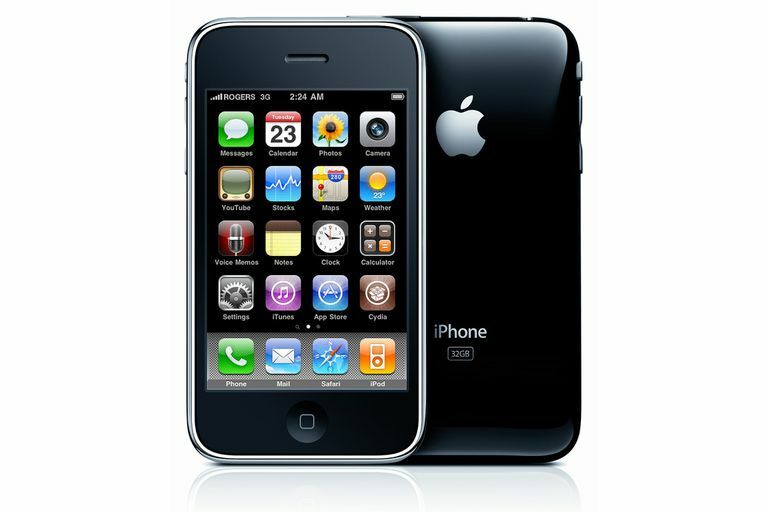 With the iPhone 3GS, Apple has built on the terrific hardware and user experience of the iPhone 3G. We see the iPhone 3GS as a must-upgrade for first-generation iPhone owners and those using other cell phones. For iPhone 3G users, the choice to upgrade will probably depend on your contract status. If you’re not eligible for upgrade pricing, as many aren’t, consider waiting until you are (unless you’ve got US$200 extra to spend). If history is any guide, we can expect a new iPhone next summer (each of the last three summers has seen a new iPhone introduced), so you may be best served by waiting until then. In the meantime, everyone using the Apple iPhone 3GS should enjoy the fruits of the best iPhone yet.